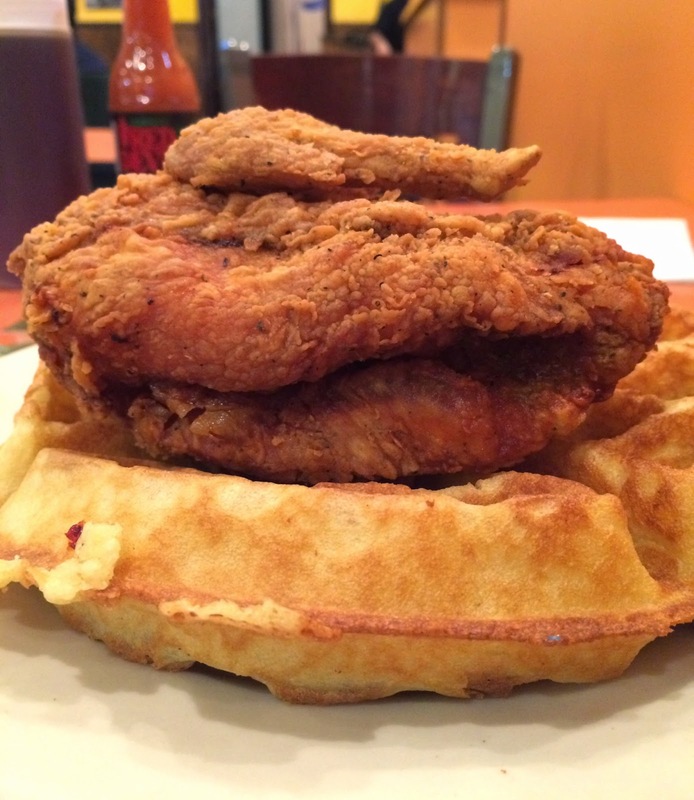 I've been thinking to get some chicken & waffles as there're some high reviewed restaurants in NYC even though I ate chicken and waffles separately at Roscoe's when I first ate the dish. 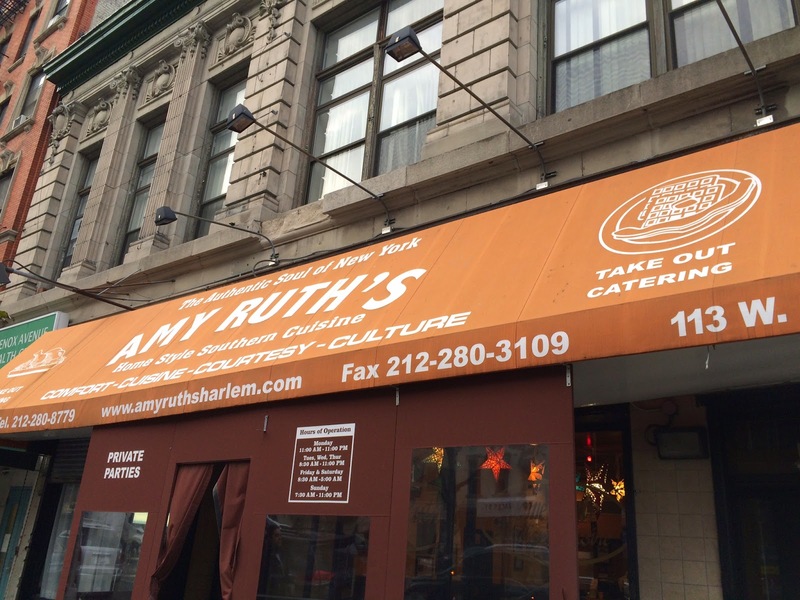 Today, I went to Amy Ruth's in Harlem around 3:30 PM. When I entered the restaurant, about half of the place was full and a host saw me coming in and said, "Sorry, could you wait for a minute?" as he's busy preparing some bags for delivery or to-go. 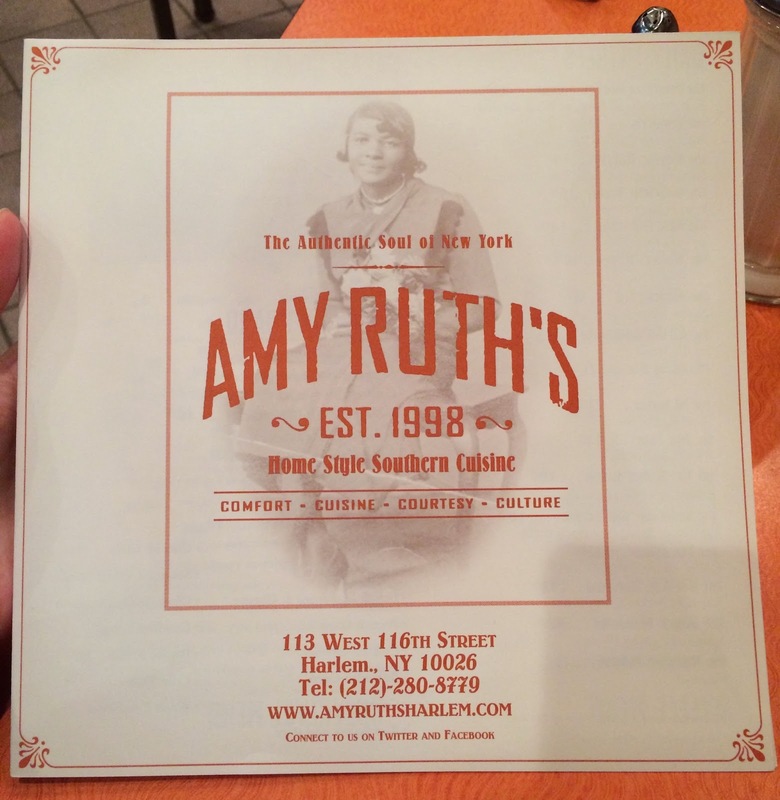 He handed me a menu and I chose a table and sat down. Soon a glass of water and cornbread were brought. 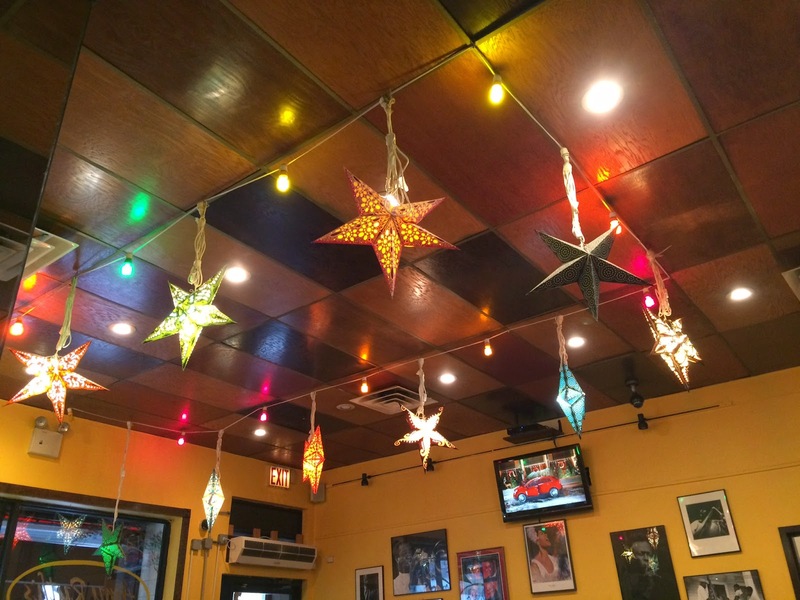 The restaurant was clean and all the employees were nice. Menu --- you can see all the menu online. 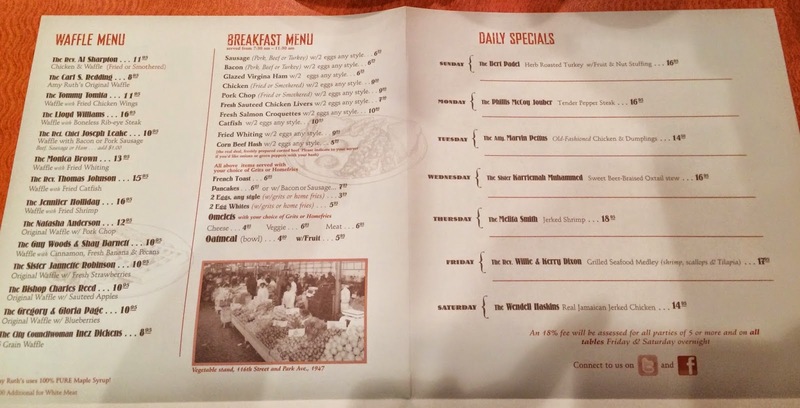 * Breakfast is served from 7:30 ~ 11:30 AM. I chose "The Rev. 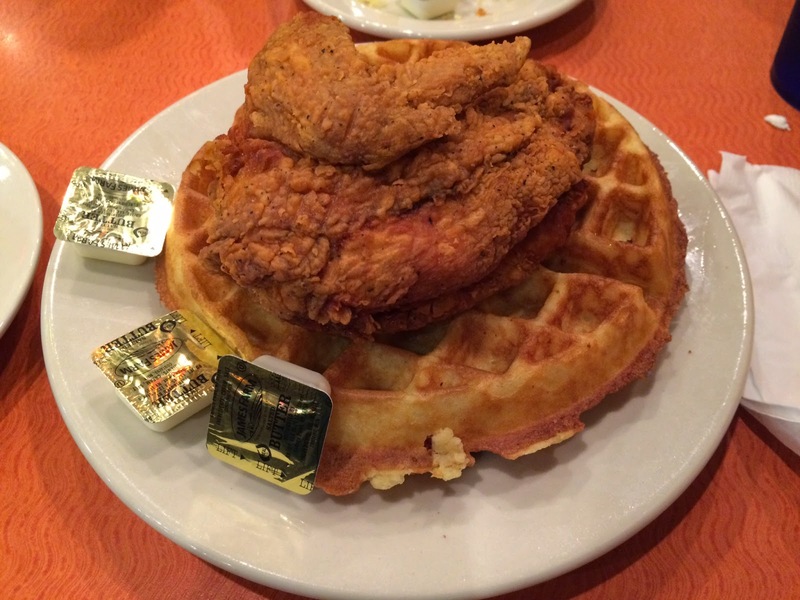 Al Sharpton" and it's classic chicken & waffles. The items were named after famous people, and mine was a reverend, baptist minister. I could choose fried or smothered, and I chose fried besides asked for white meat which costs extra 1 dollar. 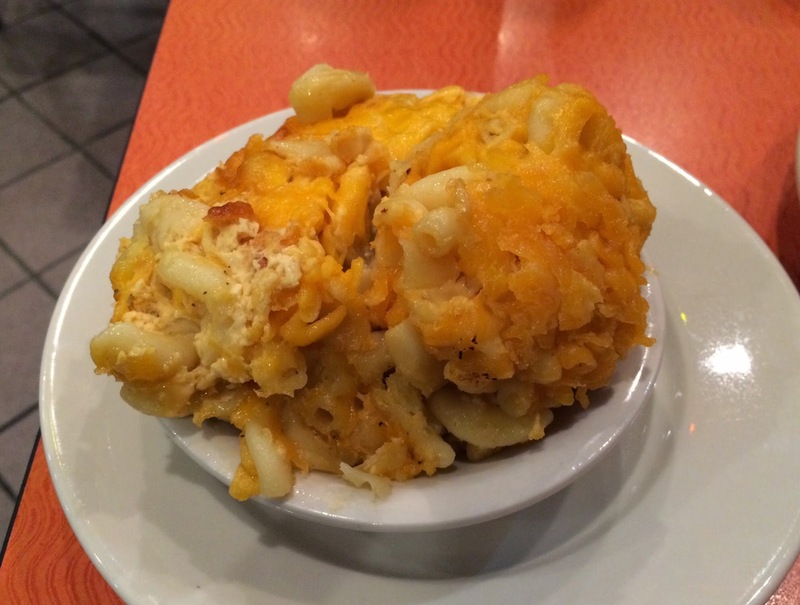 From side orders, I got a baked macaroni & cheese. I waited for the dishes by eating the cornbread. 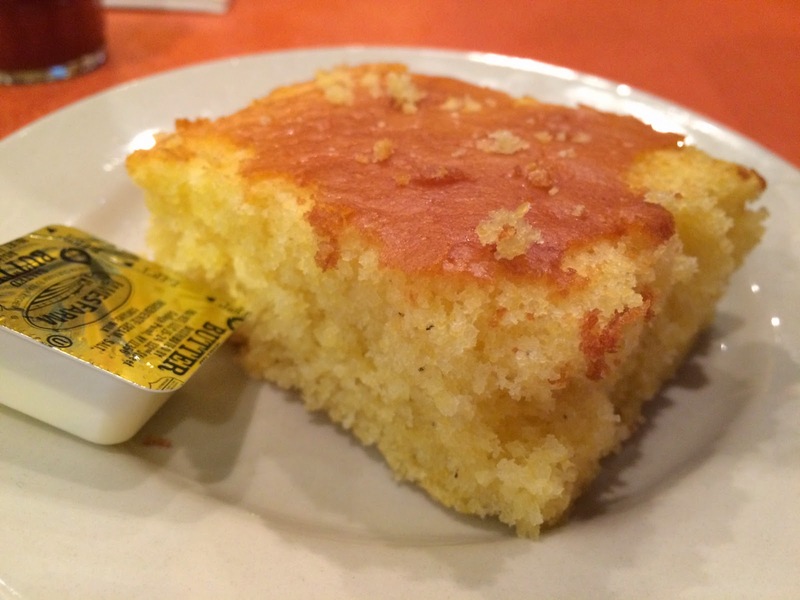 Cornbread was still warm and served with some whipped butter. It's moist inside, slightly rough and sweet. 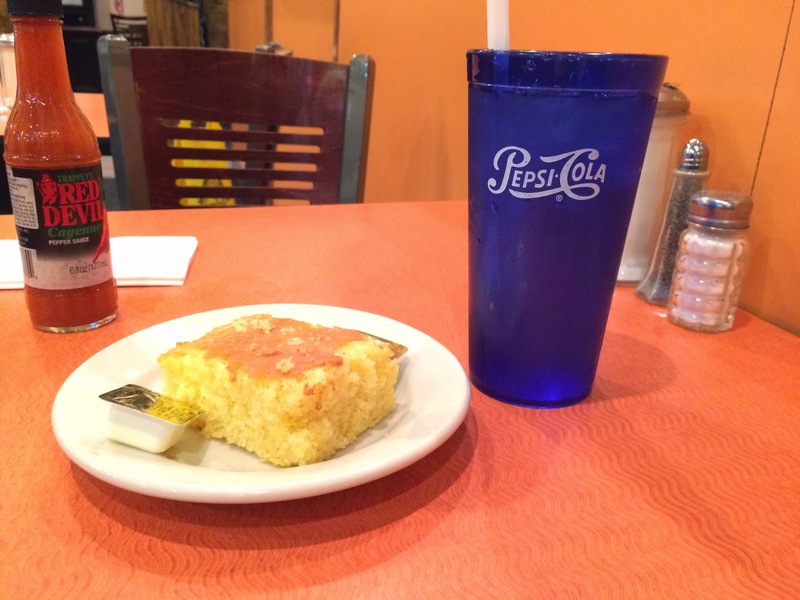 I liked this cornbread much better than Bob's Red Mill mix. It's so tasty that I really wanted to eat it all, but as the main was coming, I left 1/3. 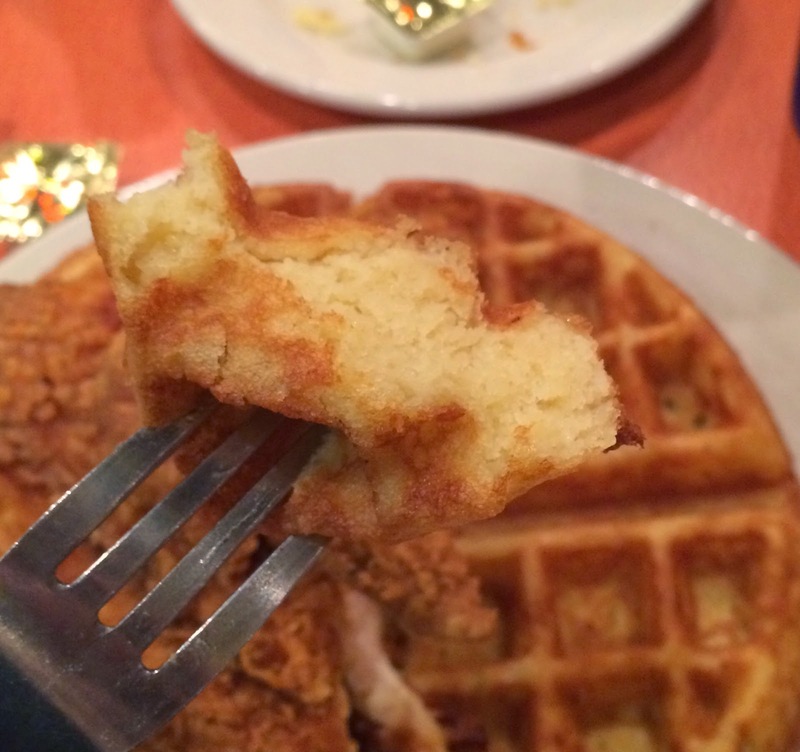 In less than 10 minutes, chicken & waffles and baked macaroni & cheese were served. 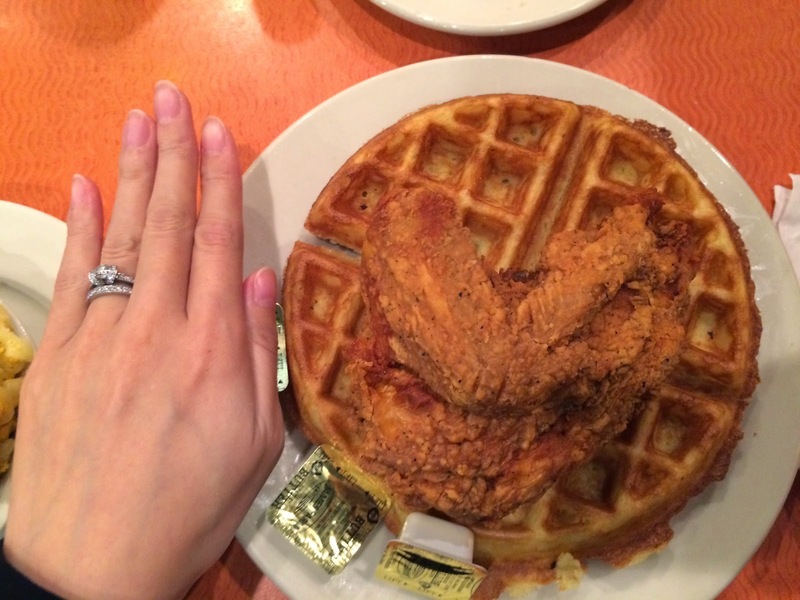 It's very large and tall, and the diameter of the waffle was about same size as my hand, which is 19cm (7.5 inch). The white meat was taller than iPhone 5s' width, so it's taller than 5.86cm (2.31 inch). The batter and skin were very crispy and crunchy as it's grouching while I was cutting it with a knife and fork, and it's seasoned well with salt, pepper and some seasonings. 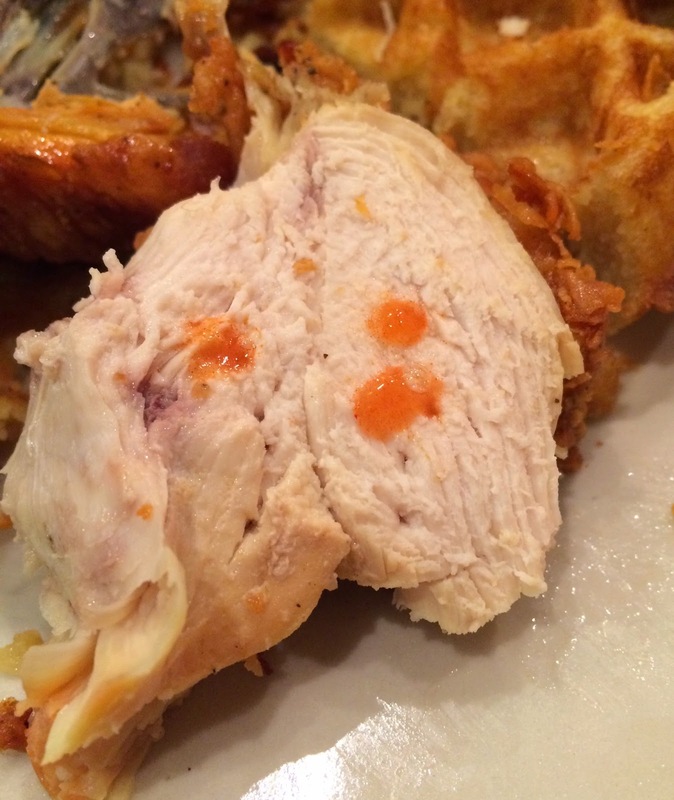 Though it's white meat, there's no dried part and it's juicy and moist, and super hot inside. 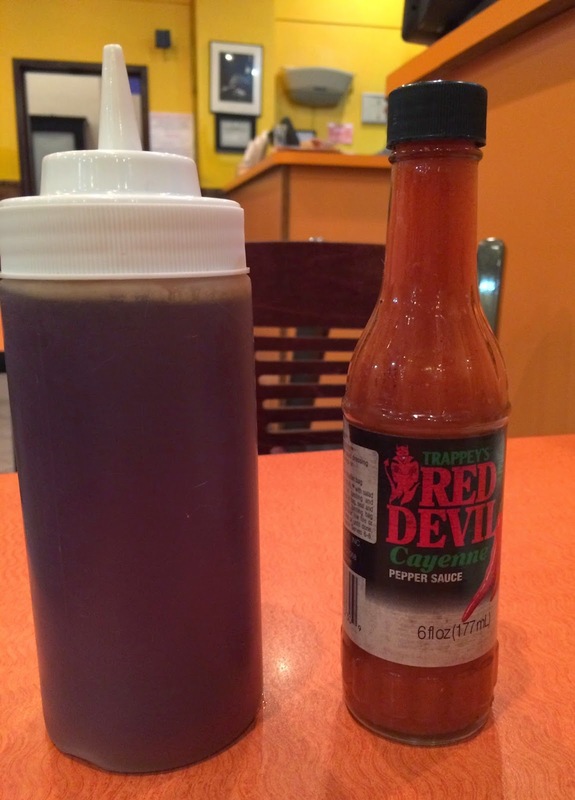 A bottle of maple syrup and Red Devil, a hot sauce, were served so I tried both separately on the chicken. The bottom of maple syrup had a skinny tube to squeeze out the content, and it's actually very easy to squeeze without much power and I could pour little by little without accidentally covering the whole plate. First I thought it's a cooked down sugar and water, but the menu said they use 100% pure maple syrup. With maple syrup, of course the sweetness was added but I'm not sure I liked that. It's the same feeling I had at Roscoe's. Red Devil had a vinegary scent like tabasco and only a few drops didn't do anything to me. Waffle was moist, soft, and slightly wet and mushy inside but it's fully cooked. It had a subtle scent similar to buttermilk. 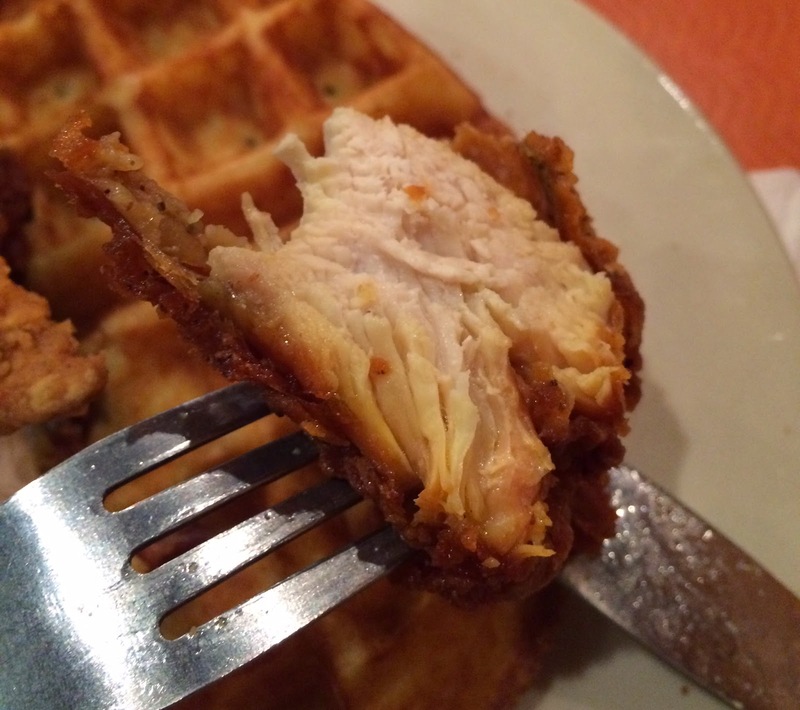 I also tried with chicken and maple syrup, but after a bite, I started eating chicken and waffle separately. For chicken, I liked as it was and time to time I put the Red Devil, and for the waffle, I ate it as it was but sometimes I added maple syrup. It's a side menu but still large. 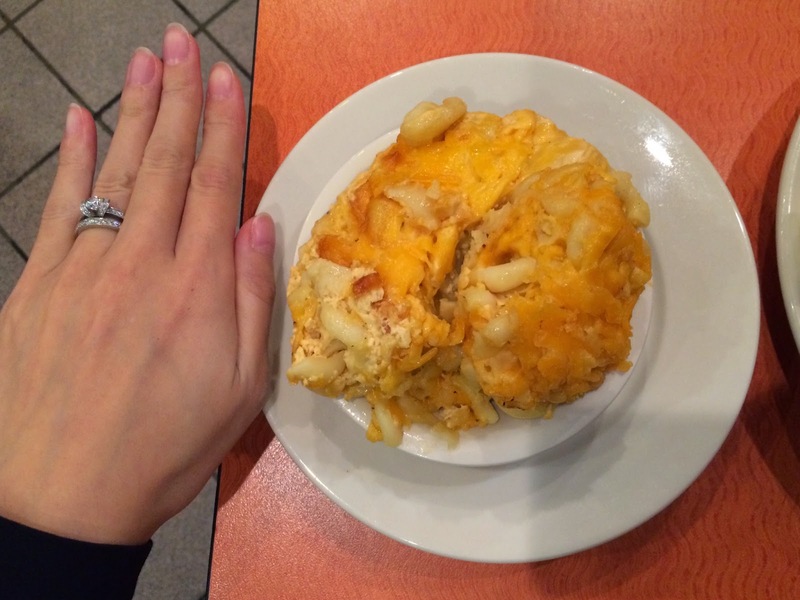 The cup was about 15cm (6 inch) in diameter and macaroni & cheese was piled tall. 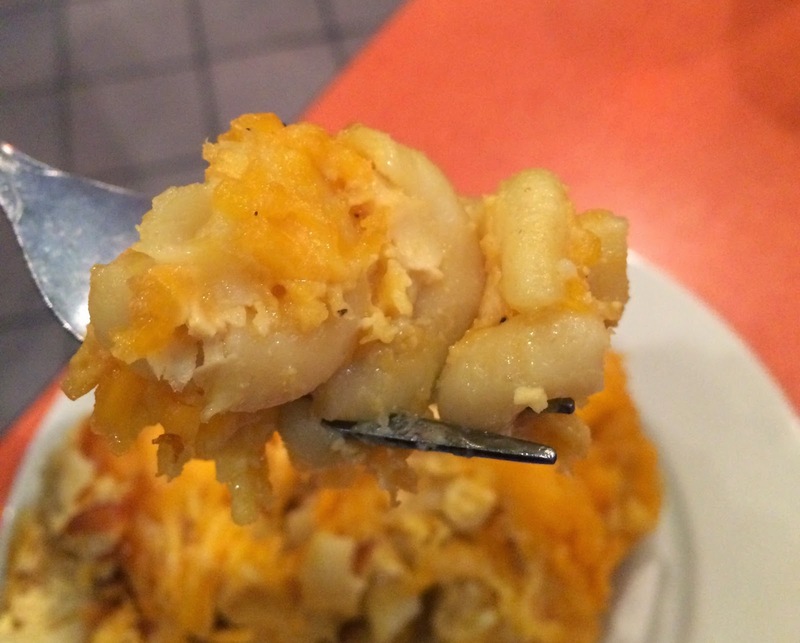 Macaroni was cooked soft and cheese added saltiness. I tasted something similar to the fried chicken, and I wonder if they put the same spices into this dish. The surface was a little bit hard and dried as it's baked, and it added different texture to the soft macaroni & cheese. 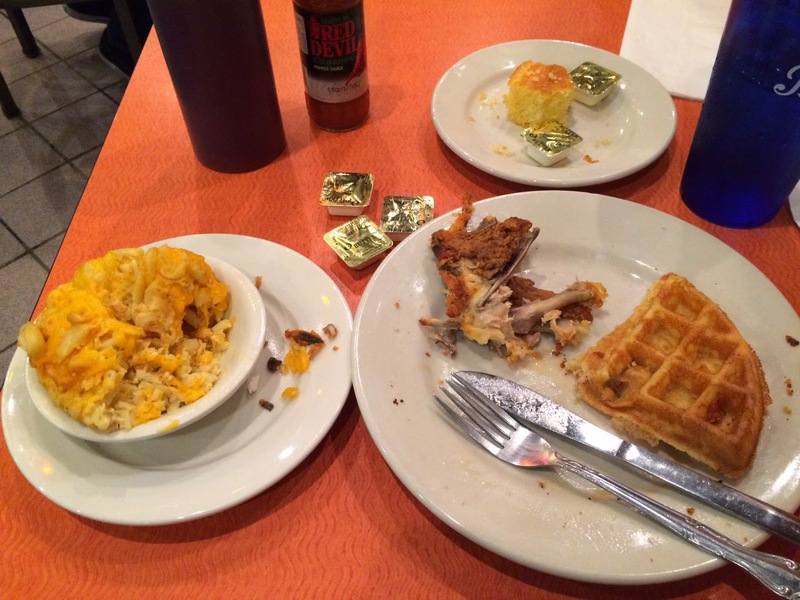 In the end, I finished all the chicken, 3/4 of the waffle and 1/3 of macaroni & cheese. I had a couple of cookies today and I was quite hungry, but this is what I could do the most. 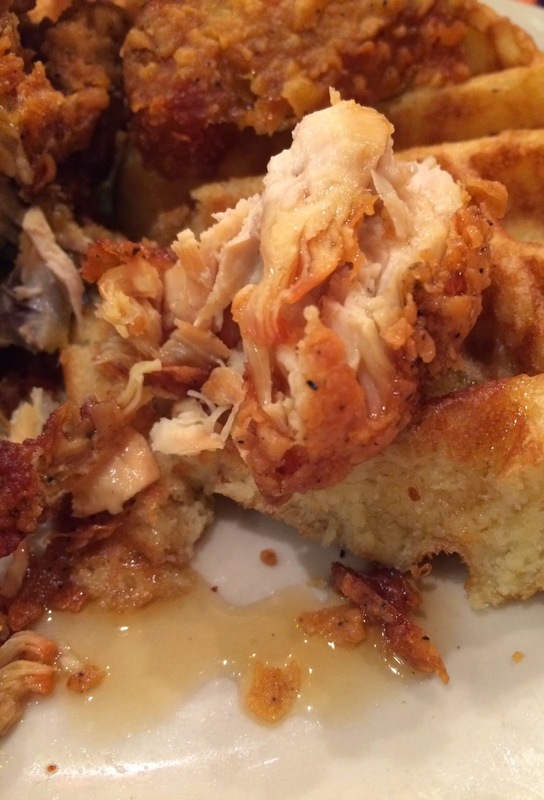 Another chicken & waffles review. wow, everything is big here. Is it considered acceptable to share food in the States?